Looking for the perfect book on knitting? It's right here in The Complete Photo Guide to Knitting, 2nd Edition. This stitch guide is the ultimate knitting reference! 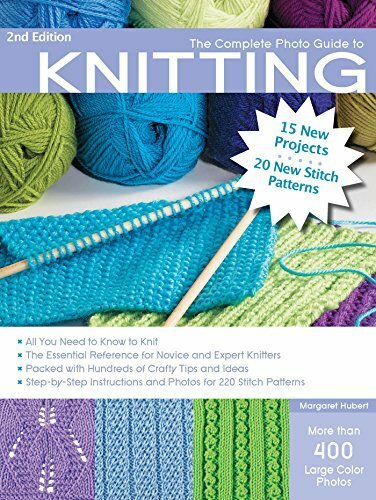 A comprehensive how-to book about all aspects of knitting, you'll be making scarves, hats, socks, mittens, sweaters, and other projects in no time! Inside this ultimate knitting guide you will find expanded basics for all knitting techniques, from cast-on to bind-off and every step in between.